JEFFERSONTOWN, Ky. -- A federal prosecutor says the shooting at a Kentucky grocery store that left two people dead is being investigated as a possible hate crime. Fifty-one-year-old Gregory Bush has been charged with murder and other crimes in the fatal shooting of two shoppers at a Kroger store on Wednesday afternoon. Both victims were black. Bush is white. 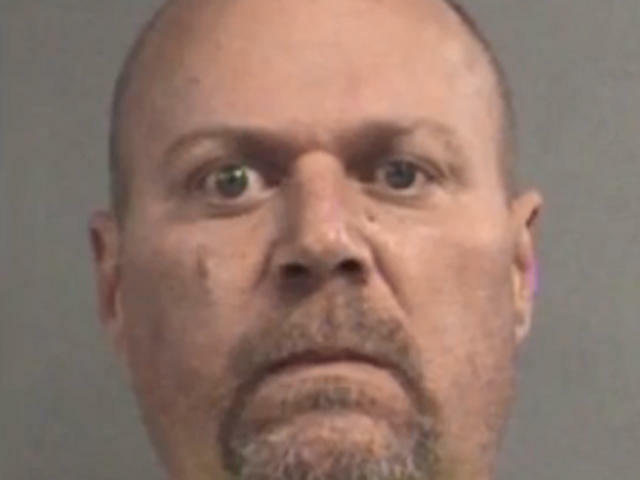 Bush was recorded on surveillance video apparently trying to get inside a predominantly black church before the fatal grocery store rampage, police said. An arrest report says Bush walked into the Kroger, pulled a gun from his waist and shot a man in the back of the head, then kept shooting him multiple times "as he was down on the floor." The report says Bush then reholstered his gun, walked outside and killed a woman in the parking lot. Each victim died of multiple gunshot wounds, Rogers said. Rogers said Bush was standing at arm's length when he shot the woman in the back of the head. Bystander video shows a white man in a distinctive neon-yellow shirt trying to drive away while an officer chases after him on foot. Many more officers converged on the scene and made the arrest just a few hundred yards from the store. The information came as news media outlets reported that Bush made a racial comment after the deadly shooting. Rogers said Thursday it was too soon, however, to say whether the shooting was racially motivated. Bush's ex-wife is African-American, and she has received protection orders against him after violent outbursts, including an incident in 2009 when she told police he called her racial epithets during a custody exchange of their son. They divorced in 2000. The local coroner's office identified the victims as Maurice Stallard, 69, and Vicki Lee Jones, 67. Police said there didn't appear to be any connection between Bush and the victims, or any link between Bush and the Kroger store. Stallard was the father of Kellie Watson, the chief racial equity officer for Louisville Mayor Greg Fischer. The mayor shared his outrage Thursday over what he called an "epidemic of gun violence" that "hit close to home."